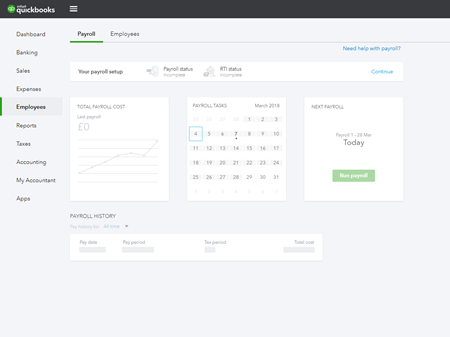 There are two versions of payroll for QuickBooks Online UK. This article is for QuickBooks Online Payroll. If you have PaySuite, view this article. If your Employees page looks like this, you have QuickBooks Online Payroll. If you see 'Powered by PaySuite', view this article. In QuickBooks, go to the Gear icon > Account and Settings > Payroll. Note: After you run your first payroll in QuickBooks, you won't be able to make changes to the pay schedule unless you delete the entire payroll.